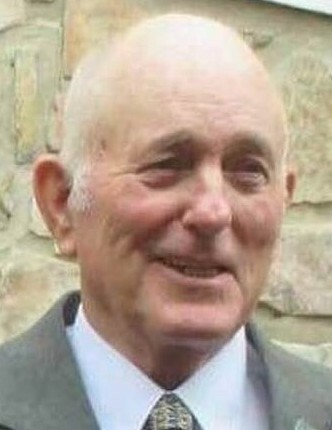 Charles D. Hall of Wellington, KY passed away early morning on the ninth of October 2018. He was an adventurer, an Army Veteran, and an avid storyteller. He was born in Floyd County, Kentucky on the fifth of April 1938. After serving in the United States Army, he married the love of this life, Ginger, in 1958. They had three children. After many years on the West Coast, he retired from Weyerhaeuser Company in Longview, Washington as a welder, before returning to his home state of Kentucky in 1996. Where he built his wife her dream home. Above all, he was a devout family man. He loved being a husband, father, and grandfather. He loved traveling with his wife, setting out on his adventures, and he enjoyed sharing the stories of his travels with friends and family. He is preceded in death by his parents Stallard and Menda Hall and his siblings Joe and Brenda. He is survived by his wife of 60 years, Virginia “Ginger” Hall; his children, Charles Hall (Hannalore), Ken Hall, and Angela Hall-Averre (John); his siblings Cleadis “Teet” Hall and Catherine Baker; his grandchildren, Sadee, Avery, KC, Joe, Stephen, Eli, Leon, Christian, Nicole, Nadine, Sarah and Anna. And his many great-grandchildren. A Celebration of Life Service will be held on Saturday, November 3, 2018 at 2 PM at Lower Toler Church of Christ, 1816 Toler Creek Rd, Harold, Kentucky. Menifee Home For Funerals, Frenchburg, Kentucky, with Randy Halsey Funeral Director.